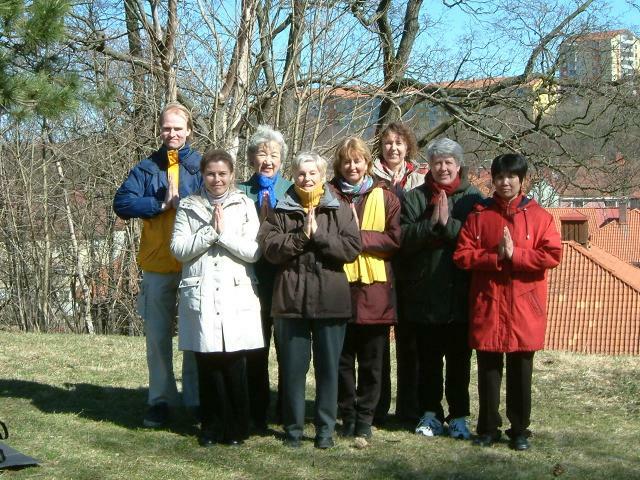 (Clearwisdom.net) On the 11th of April 2004, which was Easter Sunday, people gathered as usual to practice the Falun Gong exercises at Bagareg rdens Hill in Gothenburg. However, this Sunday was special because it marked nine years since Falun Gong's founder, Master Li Hongzhi, personally conducted a seven-day seminar at Nordeng rden in Gothenburg to teach Falun Dafa to over two hundred attendees. Swedish practitioners would like to express their deepest heartfelt thanks and regards to Master Li for traveling to Sweden to teach them Falun Dafa.